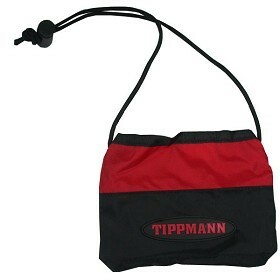 The Tippmann Barrel Cover is designed for ultimate protection on and off the paintball field and between games. It is made to form fit ANY paintball barrel for a sleek look while providing the maximum protection for those extra light triggers that just happen to go off when they are not supposed to. The Tippmann Barrel Cover is made out of durable Ballistic Nylon for a long, rough life. That's tougher than military grade BDUs!